Mountain High received 8-10 inches of snow today, thanks to a storm that was expected to continue dumping more fresh powder tonight and into Friday. Forecasts showed overnight lows dropping to the low- to mid-20s, with daytime highs reaching the low- to mid-30s throughout the weekend, according to The Weather Channel. The West Resort was expected to be 100 percent open by Friday morning. 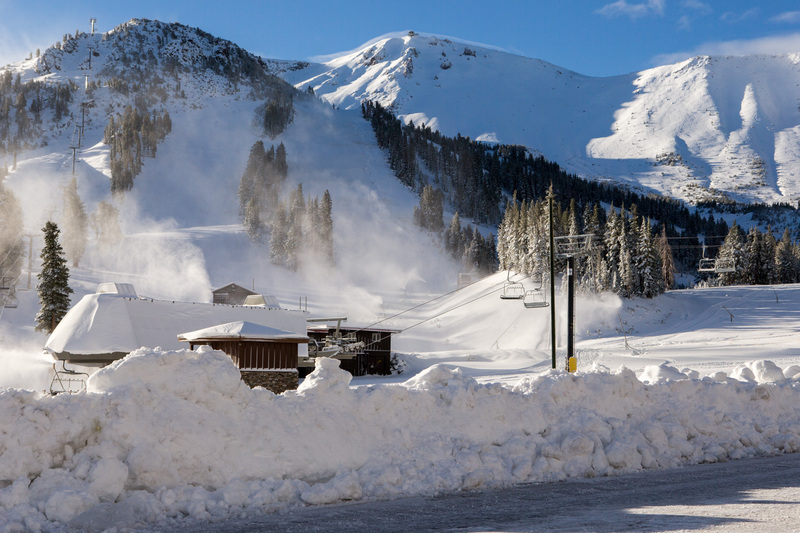 Mountain High’s North Resort also could be open during the three-day Martin Luther King Jr. Day weekend. For skiers and snowboarders eager to get back on the slopes, the wait will be over in a few hours. 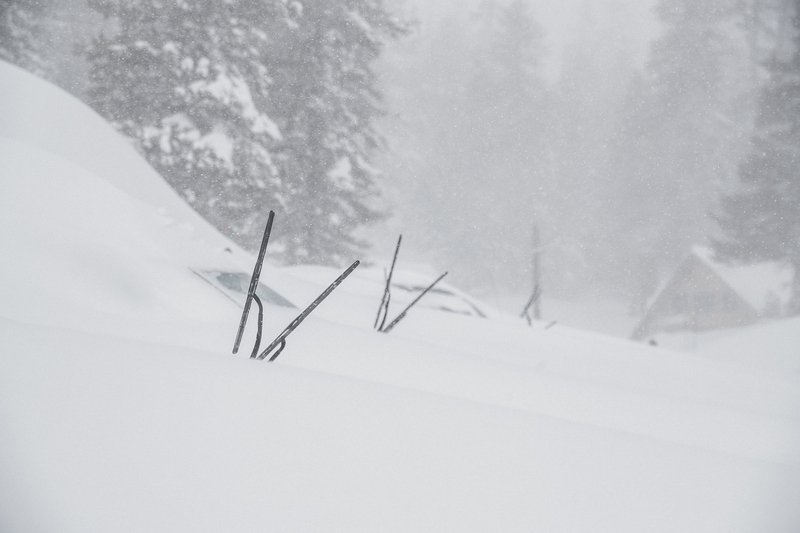 Mammoth Mountain, which received up to 30 inches of fresh powder from the first major snowstorm of the season, will be opening Thursday — a week earlier than planned. Which means the #WinterIsComing hashtag can now be replaced by #WinterIsHere. 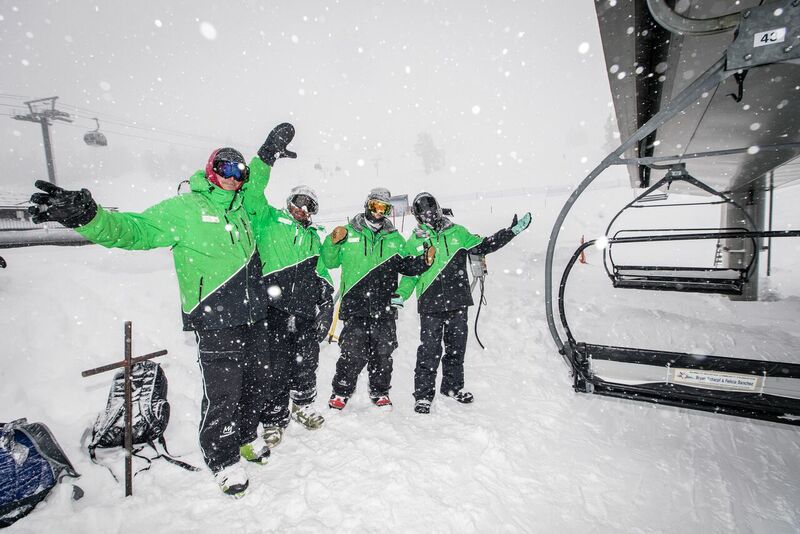 “Opening day is always a blast, add in a couple feet of powder and you’ve got the recipe for a great opening,” said Lauren Burke, resort spokeswoman. Broadway Express (Chair 1), Facelift Express (Chair 3) and Discovery (Chair 11) will be spinning with access to Saddle Bowl, Broadway, Andy’s Double Gold and Sesame Street. Lift tickets for opening day are $50, and first chair is at 8:30 a.m.
With conditions taking shape that forecasters predict will lead to a lot of precipitation, this could be the winter skiers and snowboarders have been dreaming about for years. While thermometers flirt with triple digits in much of Inland Southern California, we have our eyes on the century mark for another reason: On Monday, it will be 100 days until the Nov. 11 start of the winter season at Mammoth Mountain. 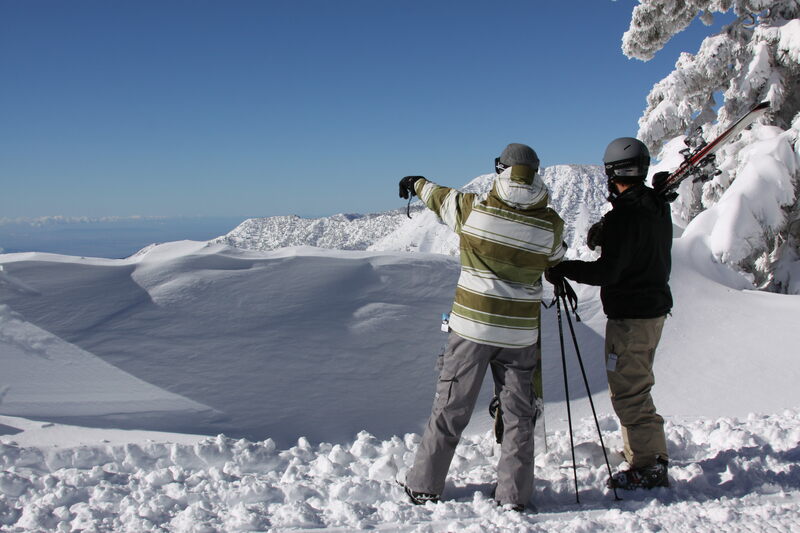 And thanks to the strong El Nino weather pattern developing in the Pacific Ocean, climate scientists are saying that more than normal rain and snow could be on the way, giving skiers and snowboarders a reason to get excited. During the two biggest El Ninos on record — in 1982-83 and 1997-98 — Mammoth received 546 and 451 inches of snow, respectively, according to the website mammothsnowman.com. Last winter, with California in the fourth year of drought, a relatively paltry 238 inches of the white stuff fell at Mammoth. 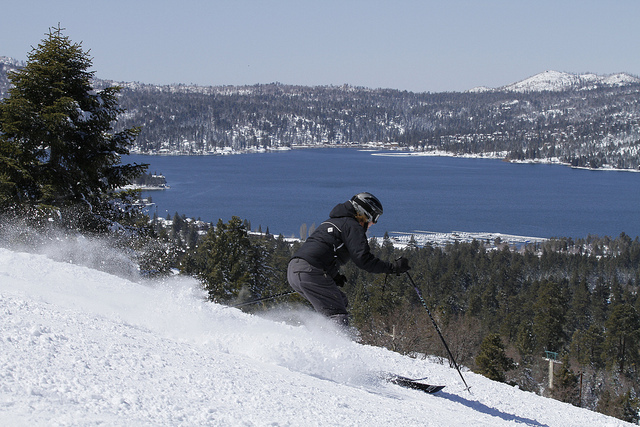 “As El Nino continues doing its thing, there’s plenty to look forward to,” says resort spokesman Tim LeRoy, pointing to the season ahead. This is the fifth in a series of updates from mountain resorts in California and Nevada. 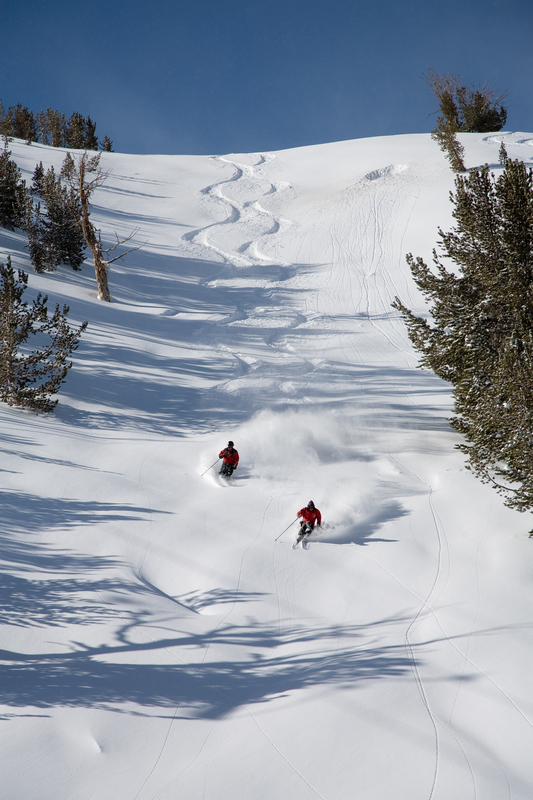 What’s new: The Cali4nia Pass allows all-winter access to the slopes at June, Mammoth (where they’re generally more crowded), Bear Mountain and Snow Summit. For the family: Kids 12 and younger ski for free at the resort all season long. This is the third in a series of updates from mountain resorts in California and Nevada. What’s new at Mountain High: Terrain features for both beginner and advanced riders, increased snowmaking and the debut of the fourth edition of the resort’s app for iPhone and Android. It features new map tracking to record your runs, a calorie counter and digital badges to earn. Best eats: The family owned Grizzly Café (760-249-6733, http://grizzlycafe.com) is a casual dining spot known for its large, delicious burgers. For breakfast, order a cinnamon roll then burn off the calories on the slopes. For the family: The North Pole Tubing Park is the largest tubing facility in Southern California. Tickets are $20 for two hours of tubing. This is the second in a series of updates from mountain resorts in California and Nevada. 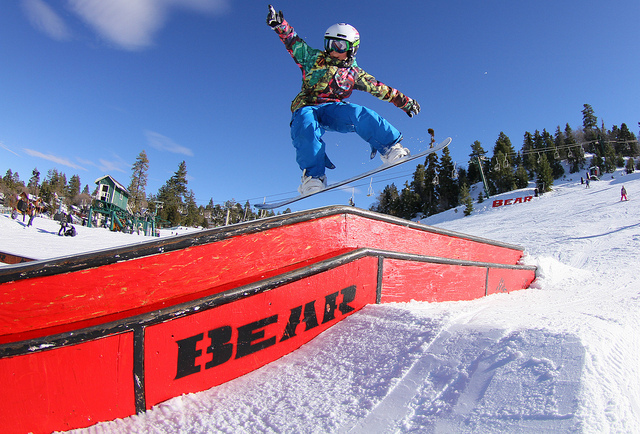 What’s new at Bear Mountain: The Cali4nia Pass was introduced in late September and is good for unrestricted, season-long skiing and boarding at Bear and three other resorts — Snow Summit, Mammoth Mountain and June Mountain. Best eats: Silver Mountain Eatery offers three primary cuisines — Asian, Mexican and Italian — along with salads, smoothies and more. Après hot spot: World Famous Beach Bar has live music acts performing regularly on a 13,000-square-foot sundeck. Spotted last season: Eva Longoria and Dermot Mulroney out on the runs. 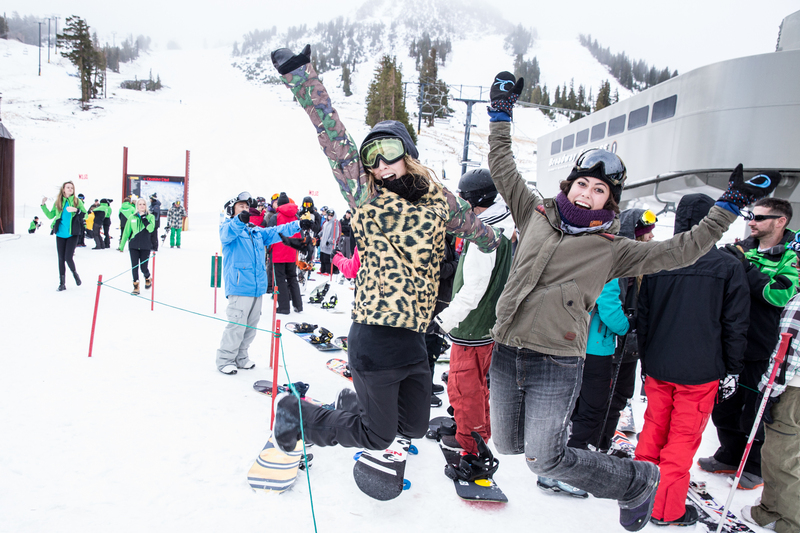 In recent years, Paula Abdul, Coolio, Emilio Estevez, Justin Timberlake and Dennis Quaid have been at Bear or its sister resort, Snow Summit.